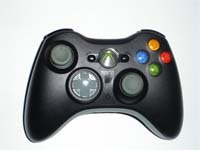 The Xbox 360 is available in various different versions, such as the Xbox 360 standard, Xbox 360 Pro and Xbox 360 Elite. The two most popular versions are the Pro and the Elite, and its advantageous to understand the difference between them before deciding upon which one to purchase. Although both of these models are known to be advanced versions of the standard Xbox 360, their price difference is quite considerable. Therefore, its important to understand the differences between their features, as well as the value add-ons that come with the packages. While on the subject of price, the Xbox 360 Pro is available for $349.99, while the Elite is a bit pricier at $449.99. As for their properties, the Xbox 360 Pro has a lower storage capacity compared the Elite version. It has only a 20GB hard drive, while the Elite offers a hard disk drive capacity of 120GB. There is quite a big difference between 20GB and 120GB. Plenty of storage space is useful for storing game data, downloading games and to provide compatibility for the original Xbox games. Other than their storage capacities, the Pro version comes with a component HD cable of up to 1080p, whereas the Elite version has both a HD cable and a HDMI cable of up to 1080p. This difference in their video cables may be important, depending on your Xbox requirements. The motherboards of the Pro and Elite versions are also different. The Xbox Pro is equipped with a Falcon motherboard with 65nm CPU, while the Elite has a Zephyr motherboard, with a 65nm CPU as well. Besides the more technical attributes, the color of the Xbox could also be a consideration. The Pro version is white and the Elite version is black. Both of these models are purchased with a wireless headset and an Ethernet cable. They also come with two basic Xbox games as part of their package. Although the Elite version of the Xbox is priced higher than the Pro version, it does have several extra advantages which are well worth the price. There is a large difference between the storage capacities of the two versions; with the Elite providing hard disk space of 120GB and the Pro only offering 20GB. The Pro version does not come with a HDMI cable, therefore, for those who intend to make use of such a cable, the Elite version will be the better option. Colleen. "Difference Between Xbox 360 Pro and Xbox 360 Elite." DifferenceBetween.net. April 2, 2010 < http://www.differencebetween.net/object/gadgets-object/difference-between-xbox-360-pro-and-xbox-360-elite/ >.